Admiral Cottage in South West England is a perfect choice for a great holiday or a fun short break in Cornwall. Find out more about Admiral Cottage below. The property is within a 10 minute drive of several beaches including Porthpean, Par Sands and Polkerris and there are various golf courses nearby, the nearest at Carlyon Bay, 2.5 miles.Â Lanhydrock House and the Lost Gardens of Heligan are within a 20 minute drive, as are the harbour villages of Charlestown, Fowey and Mevagissey.Â The immediate area abounds with delightful walks and angling is readily available close by. For more information go to www.stoneleigh-cornwall.com. We have the following details listed regarding Admiral Cottage accommodation accessibility but we would recommend that you always confirm these prior to booking with the owner or operator. Admiral Cottage is a great base to explore the wonders of Cornwall and you will find plenty of activities near by. Admiral Cottage is at Tregrehan Mills, Cornwall. Check out the map below for directions, use the controls to zoom in. "We would not hesitate to stay in Admiral Cottage again - we loved it"
"Beautiful cottage, fabulous hosts very helpful. This cottage is within easy access of some of the most..."
"A beautiful, well furnished cottage in a peaceful village environment with plenty of activities and..."
"Admiral Cottage is in a quiet location providing a relaxing environment. A 20 minute walk from The..."
"Lovely cottage, helpful friendly owners. Good location for many visits." If you have stayed at Admiral Cottage why not add your thoughts, comments, pictures to our Facebook page? Don't forget to add the name/town/page link to your comment so its attributed to the correct place. Please keep it polite, we are sensitive souls! Find Cottage Holidays works closely with independent cottage owners and leading holiday travel operators to provide you the widest choice of self catering accommodation across England. 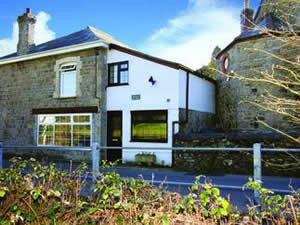 Admiral Cottage in Cornwall is available through: Cornish Cottages.